Your Choice Of Theme This Week. Indeed so - spectacular view of the nature at work. It looks very rugged and well-worn. I envy you your deserted beaches, too. I totally agree. What a spectacular view! Amazing shot Milli! Lovely coastline, Milli, Such beauty at your fingertips. Our world is such a wonder, isn't it? We are so blessed to be able to view it through the eyes of our I&W friends. What a beautiful picture of the coast and your words are perfect for it. and still so refreshing a scene...! always a beautiful scene does the ocean offer~ timeless beauty! 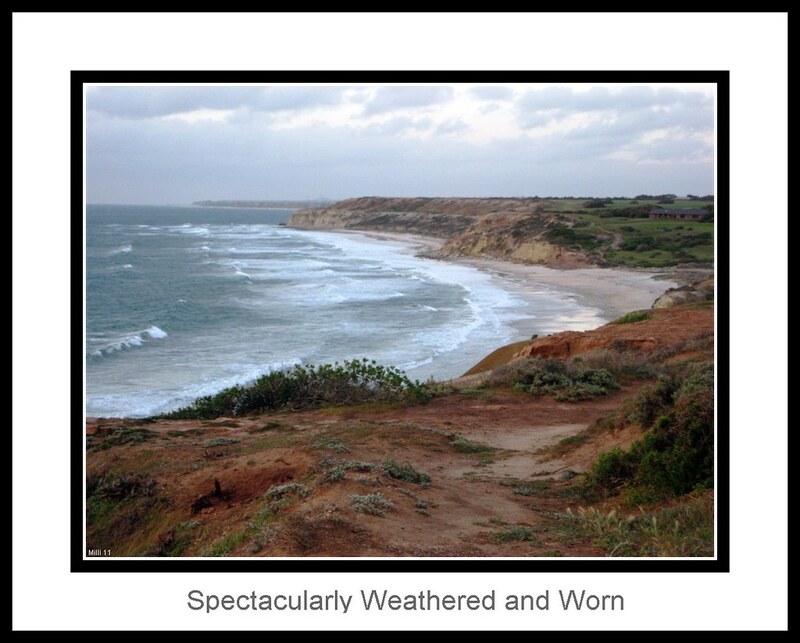 Images & Words #112 ~ Erosive Beauty ! indeed it IS spectacular! beautiful landscape shot Milli! No doubt... it's spectacular! Awesome shot, Milli! Many times I come to see your post, I often wonder how you capture these beautiful views. This one really captivates me! Always worn, but very pretty. Nature works and we are enjoying her work :) Great pic! Love the edge of the water scene.. Makes me wish I was there..
Hugs and have a terrific week.. Thank you for entry this week! They do it here. It's a great place top soar.